Last year’s selection of soulful holiday albums was highlighted by Fantasia’s Christmas after Midnight, a heartful collection of jazzy and R&B-laden interpretations of yuletide favorites delivered with authentic rhythm-section arrangements and indelibly stylish vocal performances. 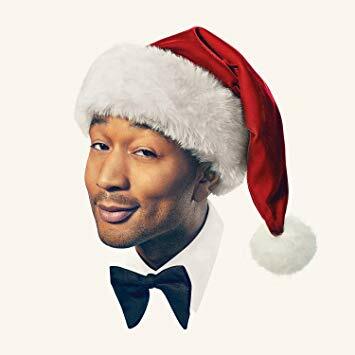 It’s likely that John Legend’s first full-length Christmas CD, A Legendary Christmas, will go down in history as the champion set of 2018. Seamlessly blending the singer-songwriter’s unaffected, soul-warming vocals with the full-bodied production and arranging prowess of Raphael Saadiq, the 14-track album puts forth a lovingly balanced stream of traditional tunes and new works. On A Legendary Christmas, Saadiq partners frequently with trumpeter Jamelle Adisa for the arrangement of tracks ranging in timbre from a symphonically charged, ‘70s-soul-driven rendition of “Silver Bells” (with added lyrics by Legend and Saadiq) to a fittingly bluesy update of Charles Brown’s 1960 gem “Please Come Home for Christmas” and the atmospheric, slowly funky “Wrap Me up in Your Love,” a Legend/Saadiq/Wayne Hector original. Adisa takes the helm himself on a dreamy reworking of “Purple Snowflakes,” a sweet and serene tune recorded in the early ’60s by Marvin Gaye, but not released until decades later. On this number, Legend truly shows the depth of his vocal flexibility, beginning the first verse in a regal and quietly rich falsetto that is all his own. Adisa’s trumpet flourishes, Iajhi Hampton’s sleek drum groove, and percussionist Roland Gajate Garcia’s and flutist/piccoloist Scott Mayo’s bossa nova accents each permeate the mood gracefully. On the jazzier side, Legend delivers one of the more distinctive renditions in recent memory of “Christmas Time Is Here.” Transforming Lee Mendelson and Vince Guaraldi’s contemplative ballad into a triple-feel, swingin’ romp punctuated by alto, tenor, and baritone saxes, trumpets, and trombones, Adisa provides an earthy, feel-good backdrop for Legend’s expertly nuanced dynamics. At once controlled and amiable, his relatable take on the classic is etched with vibrato like finely aged wine and a cool, confident flow that evokes hours of coziness. Several more originals penned by Legend and friends are present—the poetically longing, melodically poignant “Waiting for Christmas” being a standout: “I could sing along, but I can’t find the meaning/The melody feels wrong, I’m waiting for Christmas with you.” “By Christmas Eve,” a forgiveness-seeking letter to an old flame, also is impactful in its heartfelt prose and melancholy melody. Additionally, a special edition of the physical CD sold exclusively through Target stores includes two bonus tracks, the highlight being an acoustic demo version of “No Place Like Home,” which pares the components down to Legend’s rich, passion-laden voice and beautiful piano prowess. Highly Recommended.